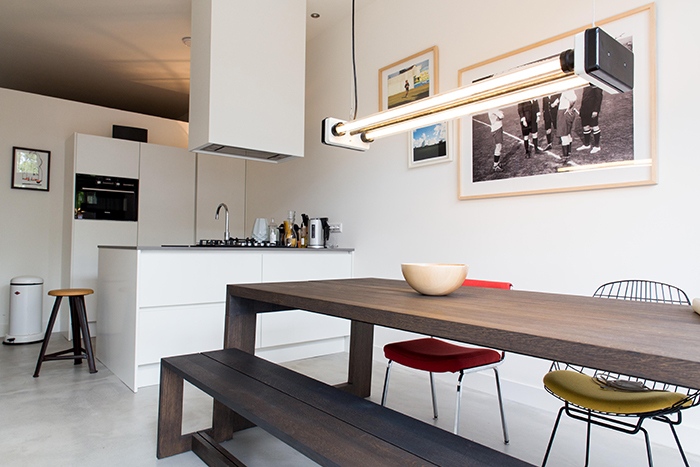 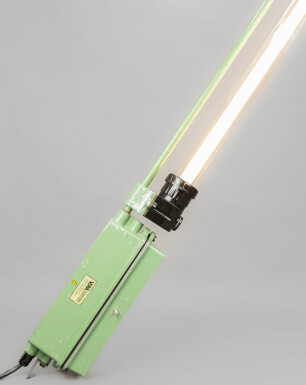 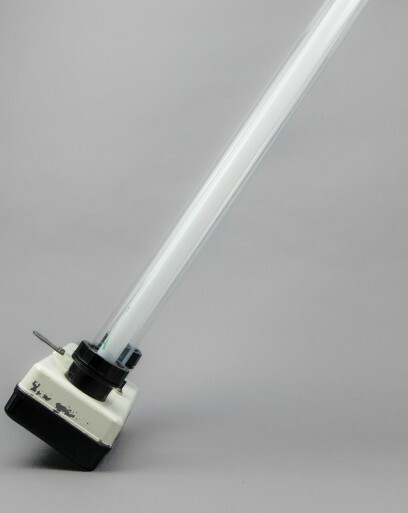 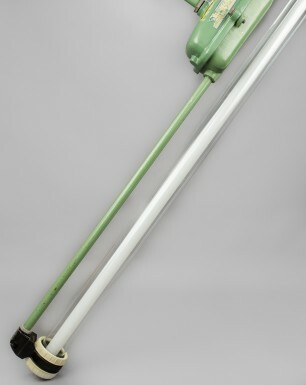 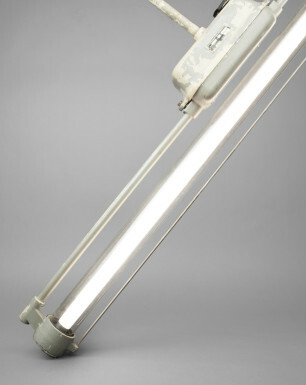 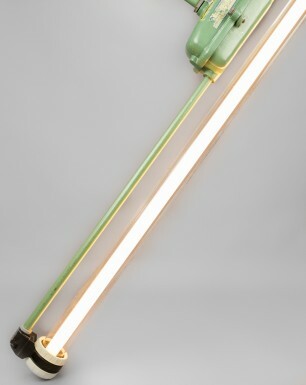 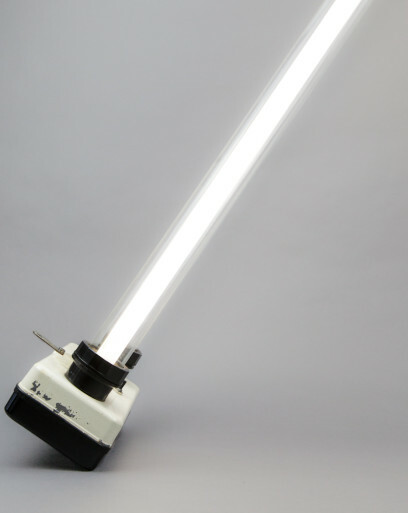 Similar to the Ox and Giraffe, this fluorescent light fixture originates from the late DDR era. Looking at the design and materials, the lamp was most likely designed around the late 1970s, but has been produced up to the eighties. 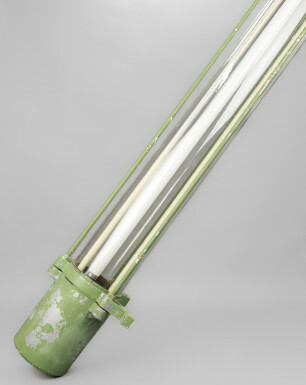 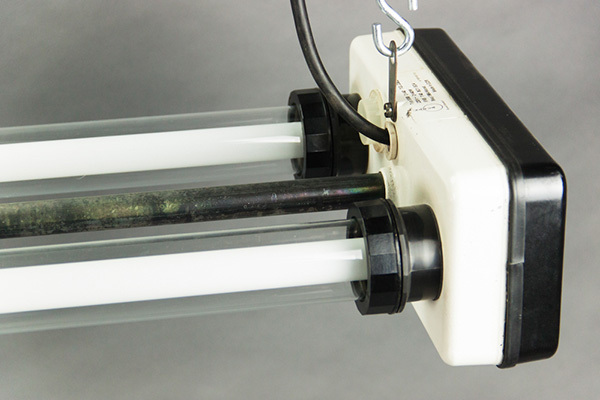 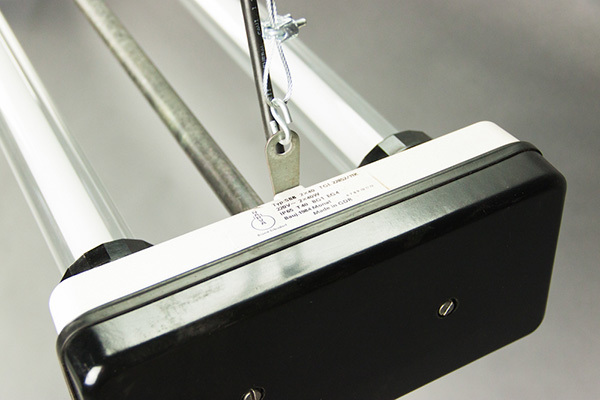 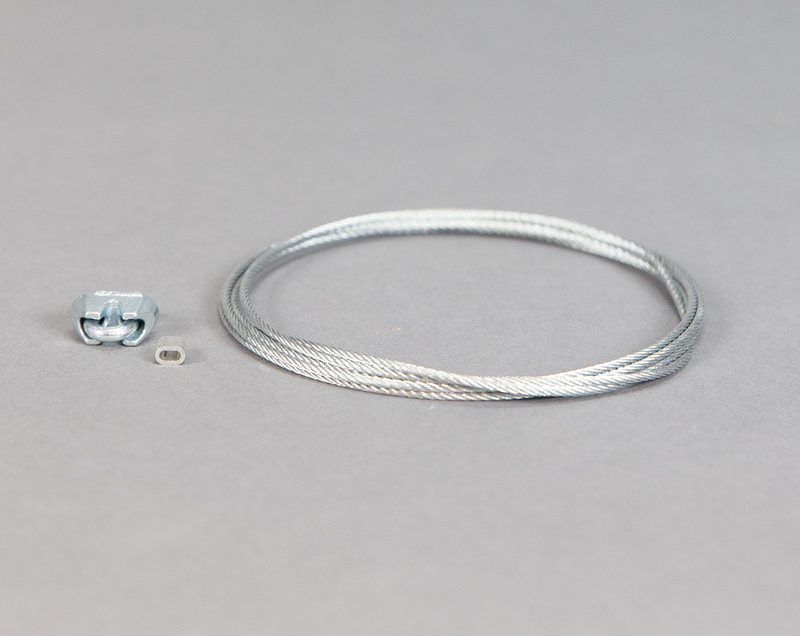 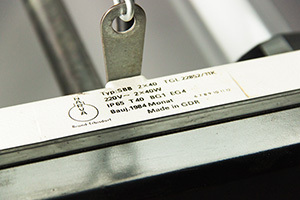 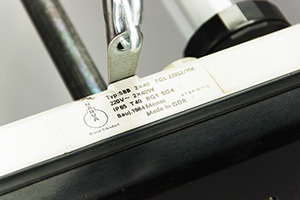 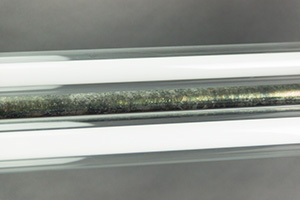 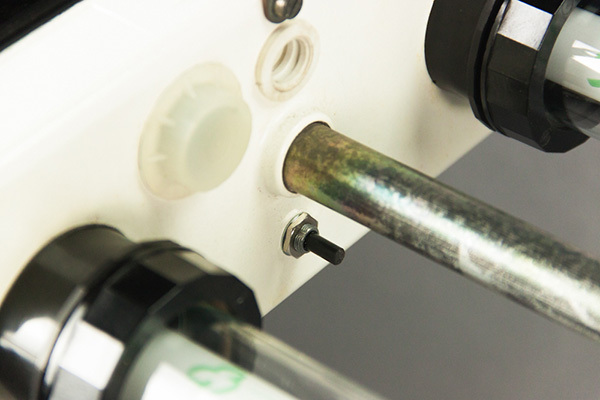 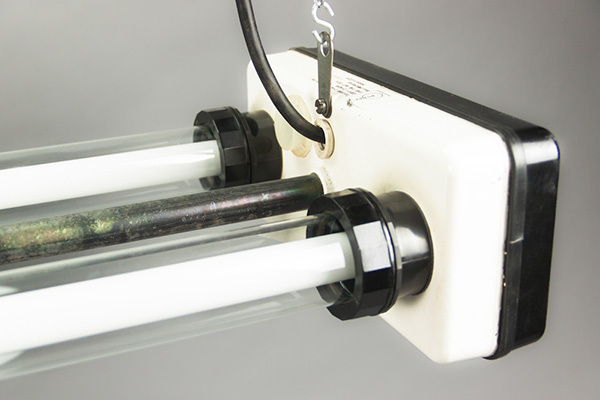 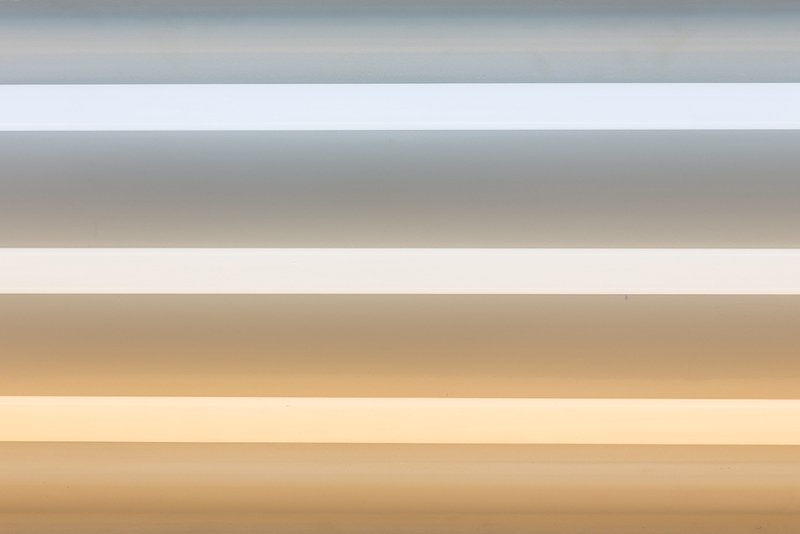 The composite and bakelite ends of the fixture are visually connected by the two glass tubes. 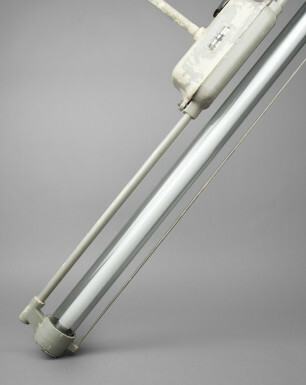 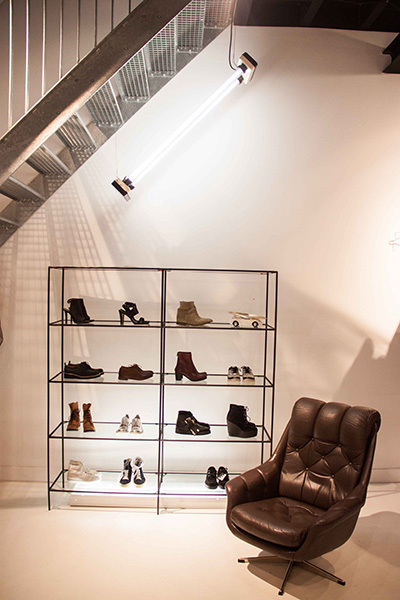 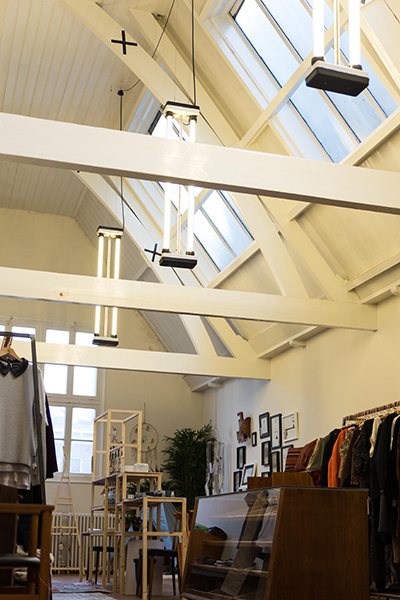 These lights were installed in large quantities in order to illuminate areas from great heights. 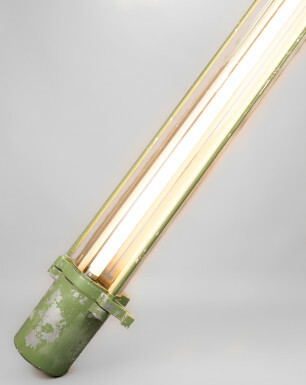 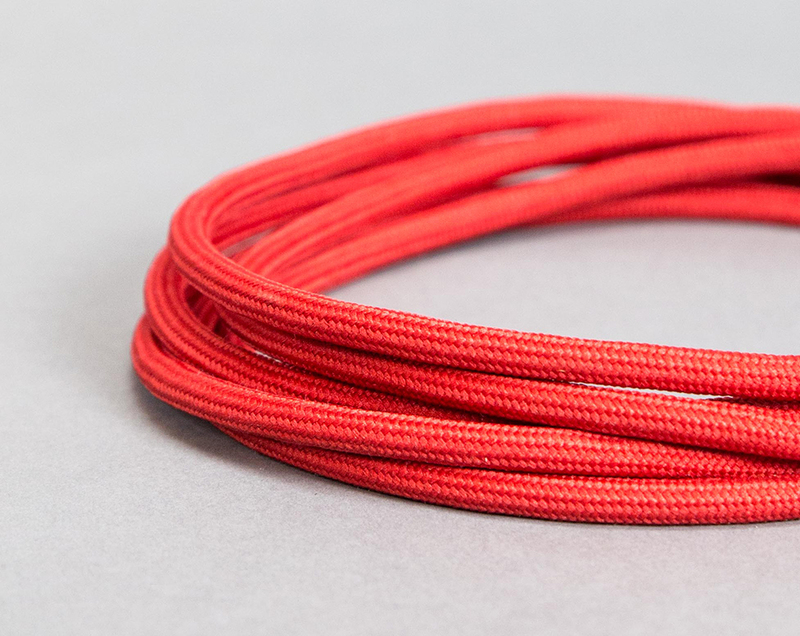 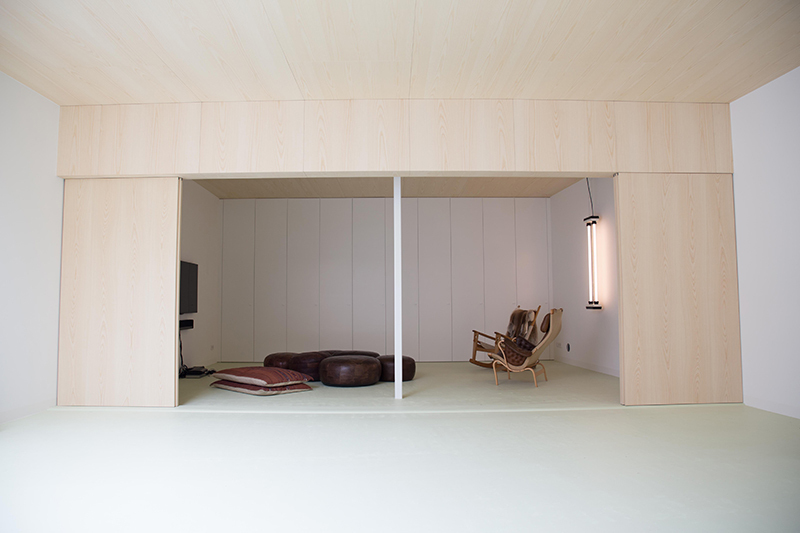 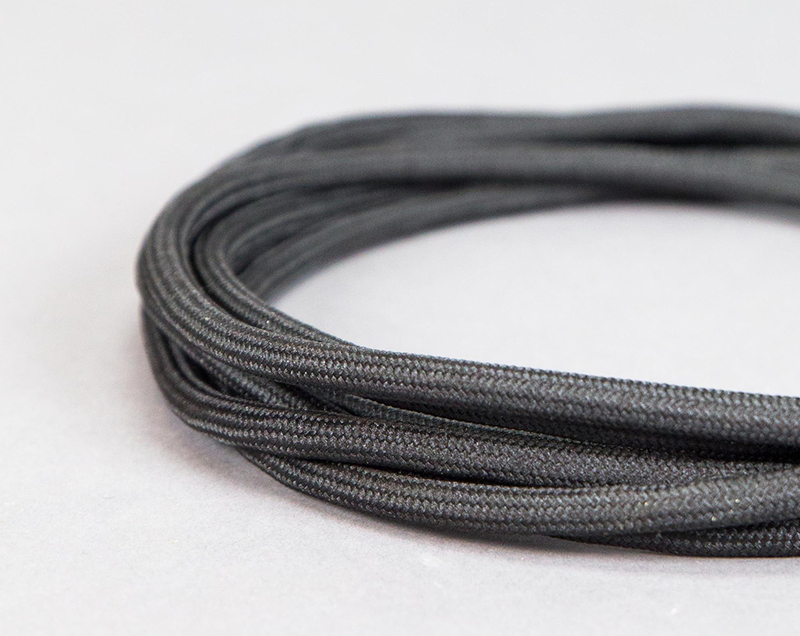 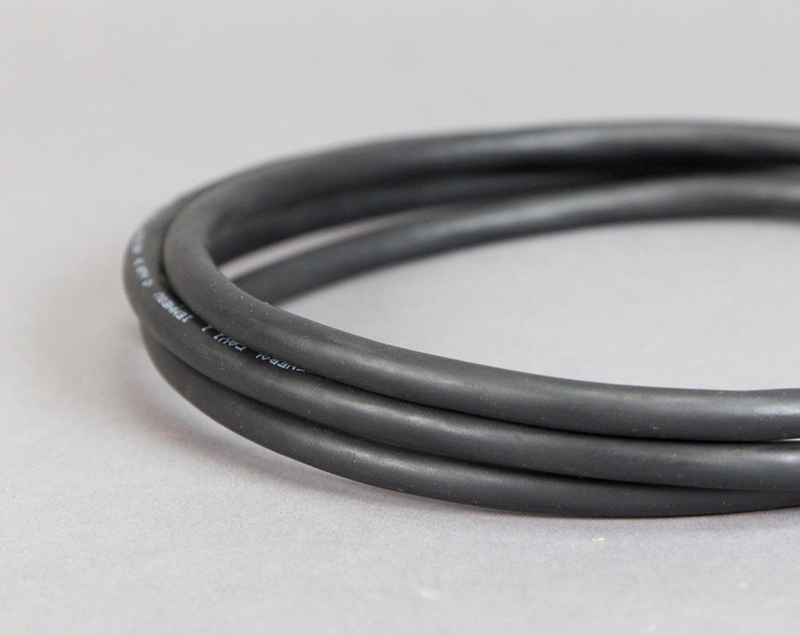 These fixtures originate from the abandoned warehouse of a former state-owned cable manufacturer. 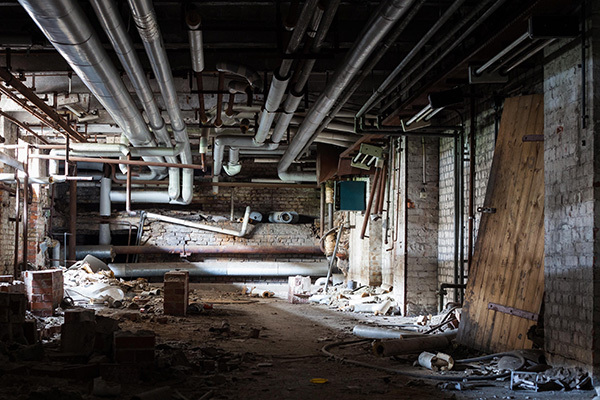 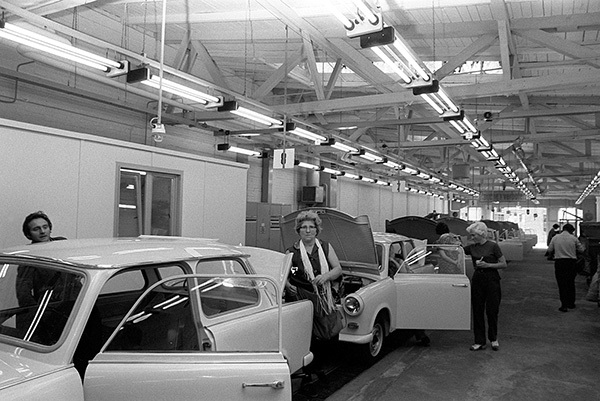 They hung in one of the factory’s basements, where it illuminated a room for heavy machinery.